Revolution D100 is now funded. But we can still do better! Our next goal is adding new awesome pictures to the internal artwork of the book. 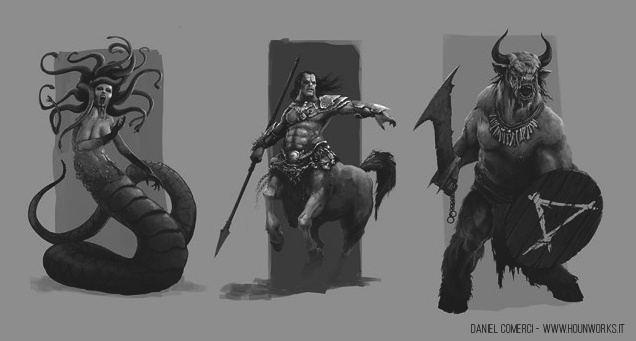 Here are some samples by the talented Daniel Comerci that show what we will add if we reach €5000. Support the Revolution! During the last years, Alephtar Games has become an appreciated publisher of role-playing supplements. However, this has never allowed us to offer a complete RPG product containing both rules and setting in one book. This is a limitation that no longer fits our plans and capabilities. It is now time for us to take full responsibility for the rule system that our role-playing products use. As our best publishing experiences have leveraged the percentile die, we will follow the road we know the best. With the approval of our most affectionate supporters, we have chosen Revolution D100 as the name for the Alephtar RPG system. If you are reading this, you probably know that a wide and varied offer of RPG systems based on percentile dice exists. Why should you choose Revolution D100 among other generic percentile games? It comes from a reliable source. Alephtar Games has grown a reputation among the existing D100 fandom for eight years. We have experience in producing gaming materials, and tailoring a base percentile ruleset to the needs of a specific setting. As a result, we know which rules to put in the core system to make it flexible and adaptable to the needs of your game. You can expect ongoing support. Alephtar already has several settings ready to adapt to Revolution D100 – Merrie England being the one already included in this crowdfunding as a reward – and a group of established authors who have already worked on its game supplements, eager to write more of them. It will be your game. By supporting this campaign, you become a privileged playtester with access to the first complete manuscript of the rules, and the right to submit playtest reports and advice in a community driven process that will produce the final version of the game. We will not just put your name among the acknowledgements; we will actually listen to your input and make this game really “yours”. A new way of using percentile dice, with levels of success and opposed rolls but with minimal calculations. Optional advanced combat with a deeper level of detail. Advanced narrative rules that leverage character motivations. Hooks that allow you to “plug in” rules found in other OGL percentile-based games. Open Game License allowing you to create and publish your own homebrew version of the game. A standard printed edition, which contains the same rules as the SRD, extra game hints and the “hooks” that will help you hybridize it with other rulesets. By popular demand, Merrie England is back, together with the most famous adventurer band of the Western world: the Merrie Men of Sherwood. This supplement, already included in all high-level pledges, will contain the basic information about medieval Britain present in the previous editions of Merrie England (for those who missed them) and all you need to know about Robyn Hode and his companions and whereabouts in order to run a Merrie Men campaign. Including the campaign itself. The artwork budget included in the basic project goal includes mainly the funding of a new cover. Most internal artwork will come from existing Alephtar publications that are now out of print. If we reach this pledge level, we will commission additional artwork from the artists who illustrated these pages. 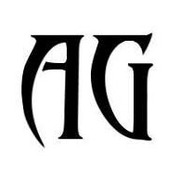 Alephtar Games is a small publisher with limited resources. Launching an entire game line instead of a single supplement at a time requires a bigger effort than we have faced so far, and will monopolize our attention for several months during which we will not be able to fund our business by producing more supplements. Thus, we need your support to turn the draft of our system into a playable game. Your help will fund the work of the team of writers mentioned below, and then the editing, illustration and printing of the game manuals. Here is a brief detail of the expected costs if we reach just the basic goal. If this is the first time you consider getting one of our games, we have one simple way of reassuring you that you will get what you pledged for: ask other backers who know us. Since 2013, we have run two international pre-order campaigns for our products (Mecha and Wind on the Steppes). All people who ordered worldwide got their products. One of the print batches was delayed a couple of months, but people now have the books in their hands. Speaking of delays, we all know that these campaigns sometimes deliver their rewards late. Can this happen to Revolution D100? The answer is: only if you, the backers, wish so. Every backer will receive the draft of the beta version of the rules as soon as the campaign is over, and will have the opportunity to test the game and provide feedback to integrate into the release candidate version of the game. If the backers themselves tell us that another iteration of writing and playtesting is desirable, we will delay delivery to favour quality over rapidity. In any case, you, the backers, will always be informed of the status of the game by participating in the discussion of playtesting results (which will be public but open to backers only). Paolo Guccione has lived in several parts of Europe, but mainly in Italy. He is the mind behind the award-winning RPG label Alephtar Games. He decides which games to publish, sometimes writes the game himself, selects the artists for cover images and other artwork, abuses the layout person when he misses deadlines, promotes games, and wastes a lot of time playing at conventions. Among the titles published so far by Alephtar Games, he has written Stupor Mundi, Crusaders of the Amber Coast and Mecha. Paolo has written the Revolution core rules. Simon Phipp started playing d100-style Role Playing Games more than 30 years ago and cannot believe it has gone so quickly. His favourite settings are those using the legends, fairy tales and folk histories of earth, so he is especially keen on Alternate/Mythic/Historical Earth as a game setting and looks forward to developing the setting over the coming years. He is the co-author of the Birchbark Chronicles: the Golden Horde supplement for Firebird Productions’ game Mythic Russia, and the author of the Land of Ice and Stone supplement for Mongoose’s D100 ruleset, Legend. For Alephtar, he has written Merrie England: the Age of Eleanor and its advanced revision Merrie England: the Age of Chivalry. Simon has written the first historical setting for Revolution D100, Merrie England: Robyn Hode. Charles Green is a freelance writer, editor, and kabbalist, who lives in the soggy city of Portland, Oregon. He is the Official Court Weirdo for Her Feline Majesty, Princess Grace Sharpie. He enjoys reading, meditation, and cooking for the ever-appreciative Dr. Marsha. He is the author or co-author of several books for the Elric lines of both Chaosium and Mongoose (Gods of Law, Gods of Chaos, Bright Shadows, Magic of the Young Kingdoms) and is the co-author of D101 Games’ Wordplay game system. For Alephtar he has written the Dragon Lines and Nameless Streets supplements. 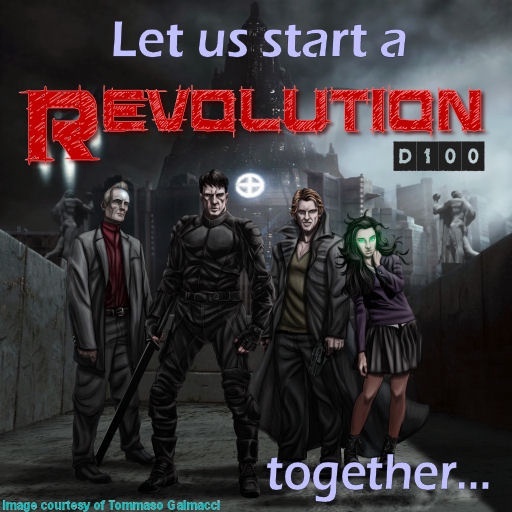 Charles will write the Homeward trans-dimensional setting for Revolution D100. When will I receive the beta draft of Revolution D100? Immediately after the end of the crowdfunding campaign, that is on November 15th 2015.